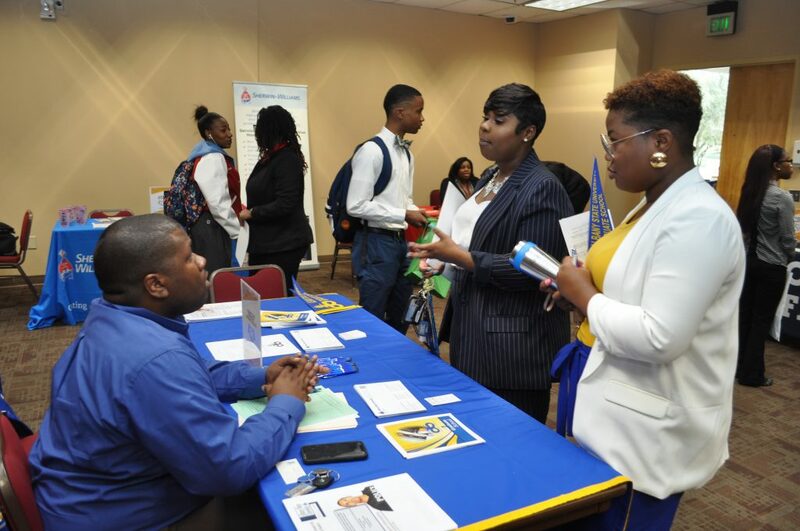 Fort Valley State University’s Center for Student Engagement – Office of Career and Professional Development invites businesses, non-profits, government agencies, school systems, and graduate/professional schools to participate in our 2018-2019 career recruitment programs, held on campus each fall and spring semester. Our career programs provide a great opportunity for you to showcase internships, employment, or continuing education. You can also get acquainted with our engaged scholars and see for yourself how our students are cultivating the type of intellectual breadth that empowers them to tackle complicated problems and provide thoughtful solutions. To search for employment opportunities, career fairs, internships or to post job vacancies, visit Wildcat CareerZone (Symplicity). 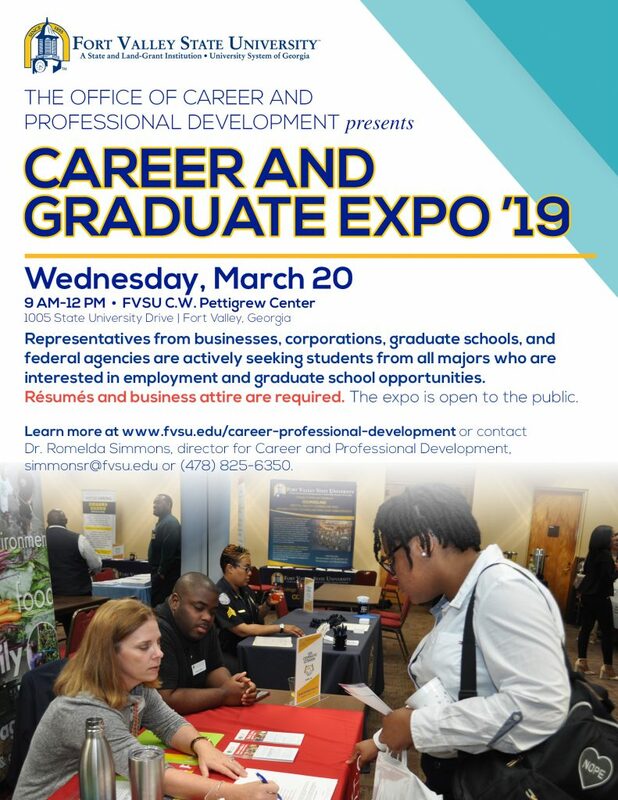 If you are interested in taking part in mentoring opportunities or hosting information sessions, please contact Dr. Romelda Y. Simmons at (478) 825-6350 or careerservices@fvsu.edu.